I am just looking to see if theres any recommended wig brands, preferably ones trialled and tested yourself. Online or in store.Havent had much luck with wig shopping in sydney city today so im feeling a bit disappointed. 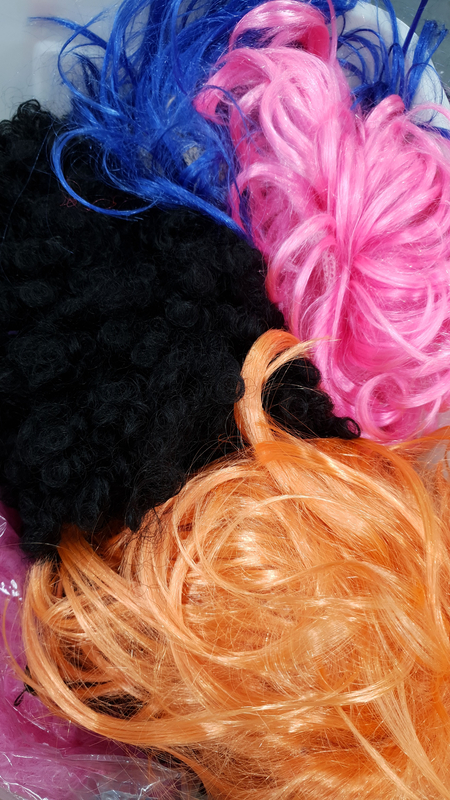 Hi @Pinkcloverss I bought mine here in Melbourne at Creative Wigs https://www.creativewigs.com.au/ you can also order online. They have a great selection . I just looked and mine isn't there but it was closest to the name "Kelly". I had long hair and this felt great on ( I wore mine all through Winter, which sounds like you will be too) and it was nice to still feel hair on my shoulders. It felt and looked natural and a lot of people who didn't know I had cancer , thought I'd had my hair straightened! But if you don't want something like your own hair ....go crazy and invent a new you!! I went to Head Complements in Melbourne - as far as I can tell they don't do online but may still be worth contacting. If they don't, they may still be willing to recommend a comparable supplier in Sydney. Good luck. Hi, I initially went to a showroom for a wig manufacturer (limited styles) and left super depressed. I then looked online a lot and realised that wigs look so different on real people (like people who did YouTube reviews - I found cysterwigs do good reviews) than in the styled photos you get on websites, and that there are so many wigs out there. I then went to Chiquel which has two salons in Melbourne and one in Sydney to see what the styles I was attracted to on their website, would look like on me. Needless to say, it’s often not what you had imagined! I went with something close to my natural colour and length, but having been stuck with straight hair all my life, went with some loose waves. It is a Raquel Welch wig and the fibres felt natural and not too shiny as some synthetic wigs seem to be, although most of the brands on display looked to be OK - they told me that they tend only stock the popular brands in the salon because of space limitations. It was more than I wanted to spend, however, I just thought it would be worth it not to look “wiggy” and then not end up using it. I think if you have time, go to a couple of salons and try some on, have a look at colour swatches and get some tips. I was pretty pleased with the service and am looking forward to getting my wig (had to order it because of colour), which frankly, was much more manageable and nicer than my own hair. Of course, you’d rather not be in this situation but you may as well have some fun with what you can!